Our new sweaters are made with 100% Cotton and are thick and warm. The Argyle Purple Sweater features beautiful purple and gray print and a scarf that can be separated from the sweater. 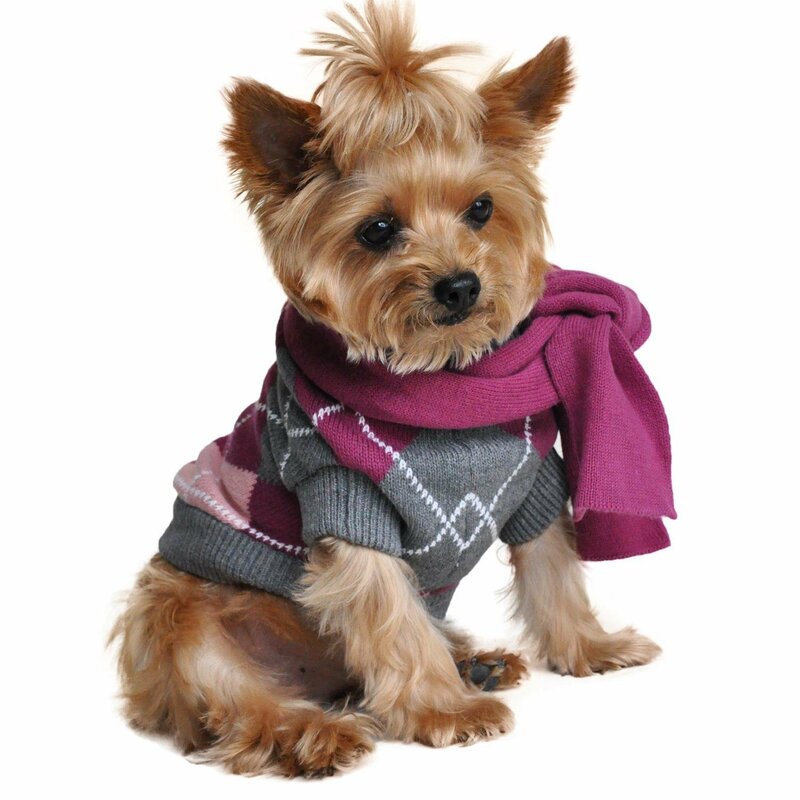 All dogs need to be warm in winter so we expanded our size range to fit tiny and large breeds.